Okay, I failed to meet the weekend targets although I had been careful not to overaim. 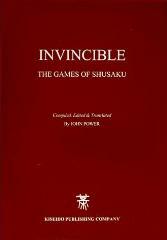 I didn’t send my car for service, and I have only reviewed one game of Shusaku, the Go master of the Edo period ( 1600 – 1868 ). Nevertheless, I would not be too hard to myself to consider the weekend had been wasted. I did achieve a few things afterall. Firstly, I managed to install Windows 7 Ultimate on my nearly 4 year old laptop. 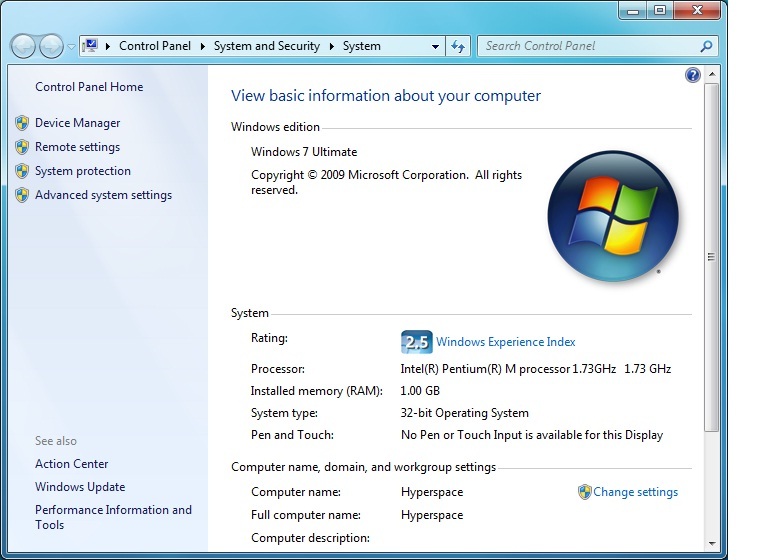 I kept the old Windows XP operating system though by installing Windows 7 on different hard disk partition. So, now I could boot with either one, XP or Windows 7 although I dont really know what to do with the latter. I mean, XP serves me well already. But I have not played with Windows 7 long enough to even have a glimpse of its real power. At first, the sound card would not work, so I downloaded the Realtek driver and it worked well, despite the warning saying that the driver was not compatible with the system. I like the new feel of the taskbar but not so much the Start Menu and how cluttered it is with so many things. But of course, I know they are customizable to meet whatever my preference is. Ooops, a cockroach just drop dead suddenly in my room. Weird, but won’t waste brain cells over it. Regarding Go, the league had started again. This time, I will try to play as many league games as earliest possible, because last time I had to forfeit deposit RM50 for not finishing my games. Alex, the tournament director, sure knows how to do business 🙂 But this time, the league will be much harder for stronger player because the handicap system is applied. At the moment, I have two wins against Song Sang and Wynes, and 1 loss against Ho. I played a lot, which left me less time to meet my other Go target which was to review 3 games of Shusaku. As I said, I only managed one review. Sure, Shusaku was a genius, but like Shakespeare, one might fall asleep while going over his masterpiece. 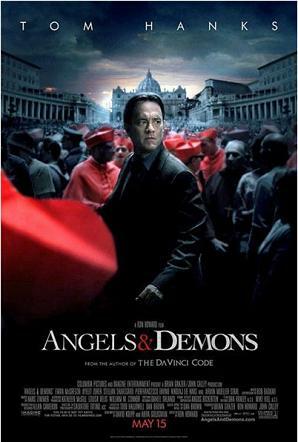 Also, just now I was in the cinema watching Angels and Demons. It was superb! I love it a lot, especially the suspense, the plot and how the whole story concluded. My sister didn’t rate it too highly though, saying that the movie did not follow the book and missed one key character, the CERN director. Well, I completed the book too but I dont mind the minor changes. I hope other books from Dan Brown, Deception Point and Digital Fortress will also be made into movies. It’s already half-past midnight and I should retire to bed anytime soon. I’m delaying that, because weekend would end as soon as I close my eyes 😦 And Monday with all dullness that it brings will instantly begin! I have been waiting for this day. The day that 30th World Amateur Go Championship commences. Technically, it began yesterday with the opening ceremony, but the actual tournament starts today with the first round. I know some of the participants in this tournament, some personally, some just simply have heard of them. I definitely want to know how well they perform in this tournament. Below is my 30th WAGC watchlist. Tan Jia Cheng (Singapore) – recently promoted to 6d by Singapore Weiqi Association. Has always been on my watchlist on KGS as anyway, with his name “supertjc”. Fatih Sulak (Turkey) – Last time I saw, he was 3d on KGS. Was one of my opponents in last year’s WAGC. Yu Qinghu (China) – China representative, who had won this same tournament before. Definitely one of the strongest amateurs in the world. Shin-Hwan Yoo (Korea) – Korea, of course! Robert Jasiek (Germany) – More popularly known as “sum” on KGS, with a rather distinctive (weird?) style of play. Would love to see how far his style will go in actual world-level tournament. Anyway, to get the update of the tournament, please visit Ranka Online. Today, MWA held a selection tournament to choose representatives to go to Asia Amateur Baduk Championship and Korean Prime Minister Cup (KPMC), in Changwon City and Jeongju respectively. Both are in Korea. I’m happy to mention here that I have won the selection tournament after winning all four rounds, first against Alex, then Mr Lee Choon Huat, then Philip and finally Jimmy. The game against Alex was especially hard as it was full of fighting. In fact, a rather big corner group of mine was killed in the middle game. But then, I started attacking hard one of his group, and managed to make a ko to kill. My dead corner group was an excellent source of ko threats, and finally Alex had to allow this group to be brought back to life to save his own. Against Mr Lee, I had early advantage after killing a rather large group of his just after fuseki. What follows is just a real solid play from my part to wrap up the game quickly. Whereas against Philip, I got an advantage after killing his group in the middle game. Which was rather lucky as I was behind in territory following his 4-corner strategy with black. In the final match against Jimmy, I started behind in fuseki, due to having a weak group and no potential growth. However, as the game proceeded, I started making few gains here and there and finally managed to gain lead just before macroendgame. Anyway, unfortunately the game could not be finished as Jimmy’s time had run out. Interestingly, we had a small boy joining our activity today, although he was not part of the tournament. The boy seems to be promising, currently at single digit kyu as estimated by Dennis. More interestingly, the boy is also said to be a very strong chess player with rating in the 2000+ range ! That’s much stronger than I ever was in chess. Selection tournament is coming. I thought it would be held on 16th May, as I thought I had seen somewhere, but according to forum post, it will be held on 23rd May. If it’s on 16th, I would not be able to attend! These are very nice tournaments. Going to Korea requires no visa, and being able to go there in a group, makes it a very fun trip. But oversea Go tournaments are not about “having trip fun”. They are about “playing Go fun”, “improving Go fun” and “knowing other Go players fun”. The only problem is, I dont think I know how to play Go anymore. The board is getting more confusing, and for every move, I am finding my self searching for meaning more and more, and receive no answer. This move is useless, as I consider a hane. This move is also useless, as I consider a jump. Peep is similarly useless, atari too and even honte as well. Aaarrrghhh. Selection will be held to select 3 males and 2 females players to represent Malaysia. Mr. Ho Hock Doong is the temporarily selected leader for ABBC, to be confirmed with the president and other EXCO members. Date & Time: 23rd May 2009, 3.00 p.m.
Rules will be determined later after we confirm the amount of players that participate. New members are encourage to join the selection to gain experience. If you are in Kuala Lumpur (or nearby) and interested to learn Go, you can attend weekly classes provided one of Malaysia Weiqi Association regular player, Hock Doong. The classes are held in Japan Club, Taman Seputeh which is within walking distance from Midvalley Megamall. Visit MWA website for more information. Hock Doong is a respected instructor, and dan-ranked player himself and had represented Malaysia in many tournaments, including recent World Mind Sport Games in Beijing, China. 3.30pm Start Class. Handout answers to last week’s home work. Go through some problems from last week’s homework. 4.30pm End of main lesson. Start Q&A session. Handout this week’s lesson. Class Ends. Yesterday wasn’t my best day. I lost in Shogi twice to Ryou Takehito and had to bear with his “I was just playing around”, “I was just experimenting.” ; .. those should be my words! Also lost a league game against Mr Tiong, the MWA president by 4.5 moku. I started bad, after playing double hane variation to a 3-3 invasion in a san-ren-sei formation. Well, Mr Tiong showed me why I shouldn’t have done that. Anyway, that’s one day gone from the scarce amount of time I have to finish my thesis. Minusing today, only 3 days left to write another 40 pages. Can I make it? It’s extremely important that I succeed, or I will have to extend my course for another 6 months. Yucks. By the way, I have cancelled my plan to move to R&D. Too lazy to explain why. I think .. I’m changing. Yesterday was the first time I went to Hock Doong’s place. It was quite far from Japan Club, and I had real trouble tailing Mr Tiong’s car. Especially since we had to go through a number of tolls, and he had Touch ‘N’ Go while I had to queue in the cash lane. Anyway, all’s well that ends well (or something like that *shrug* ).. I was extremely jealous of his book collection. While I certainly win in computing and IT department, he trample me in every other element. History, philosophy, language, management, religion and also Go. I feel lucky to have a very well-read friend. No wonder he writes very well on his blog too. Anyway, I had a number of games there. I played with Hock Doong first, then with Philip. Then all of us played triple-Go where me, Alex and Dennis played against Mr Tiong, Philip and Hock Doong. Numerous mistakes were there, even as early as 15th move, resulting from my decision to choose an Avalanche line. Prior to that, we had dinner in Japan Club where I had my usual Chirashi Sushi. Felt bad a little because I was not in someplace dark to express support for Earth Hour. Oh, I won another 2 league games against Shu Wen and Xin Wen (they aren’t siblings). Remaining league games will be tough. I still haven’t played Suzanne, Mr Tiong, Lao Zhuang and Billy. I have to congratulate my friend Alex for directing this league. It will be good for me to learn to deal with pressure of serious games.